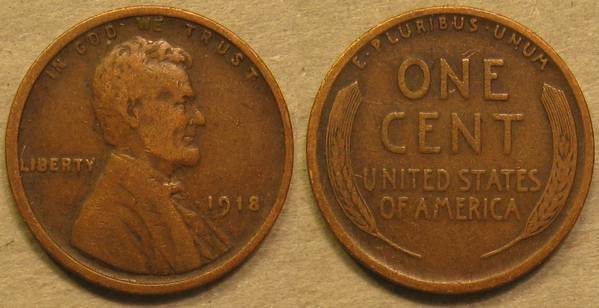 A typical example of a 1918 P Lincoln cent. Mintage for this year and mint was 288,104,634. The first year a single mint produced more than 200 million Lincoln Cents. This mark would be surpassed the next year.